Beware my friends, It’s that time of year when shysters seek to relieve you of your hard earned cash… and I’m not talking about the marketing Gurus of the Warehouse or Briscoes. You think the Santa parade is a good show? Well the Police also enjoy performing their own Pantomimes… yet they are not that entertaining. 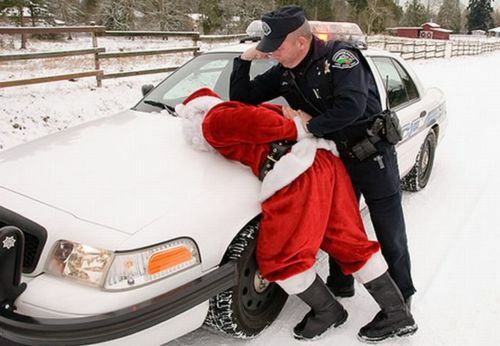 We all suffer the anguish of Xmas commercialism and the Police arn’t shy of cashing in too. Out of the goodness of their hearts, the Police have already implemented their 4km in-tolerance for the months of December and January. They have already started writing themselves cheques at our expense, and acting out the charade that they are doing their bit to keep us safe on the roads by pinging us at every opportunity they get… Funny Buggers… the joke is on us… because as we are all painfully aware… this strategy is Bogus! They are making millions… This is Tax gathering disguised as Law and order… they are literally using the carnage and Mayhem on our roads to justify their extortion racket! Yet still…. like so many other weekends and holidays that this Rapine has been imposed, our Roads are just as drenched in blood and guts … maybe even worse! The police’s reduced speed tolerance will be of little benefit to road safety over December and January, say Clive Matthew-Wilson, editor of the car review website dogandlemon.com. “However much the government tries to massage the figures, the reality is that about 80% of fatalities occur at speeds below the legal limit. Therefore, to claim that ticketing mildly speeding drivers will substantially lower the road toll is simply nonsense,” Mr Matthew-Wilson says. Some people believe *Principles* are important, irrespective of what negative consequence may arise as a result of them. They say it is best for society to remain true to these ideals… in spite of any chaos that ensues because they believe that justice is absolutely above everything else… and ultimately also expedient. In Law, a prohibition which the people do not find legitimate, will never work but cause the Law to stink. Some people dont believe in principles, instead they are pragmatists who believe almost any means is justifiable… if it gets a desired result. They like to think of themselves ‘as Realists’. A realist ought to think twice when they begin to see their experiments have failed. Then you get the complete idiots. They dont bother with principles either, yet they dont even take into consideration pragmatic realities, but death-grip onto any absurd notion even after it has proven to be worse than useless. They are hell bent on persevering with failed ideas out of a sheer incapacity to think. They cannot fathom any possible alternatives… esp if the alternatives require a complete about face and the courage to try a new direction. Now ask yourself in respect to this ongoing failed and heavy handed strategy regarding stricter Speed-limits…. are you one of these complete Idiots… or are you one of the other two types of thinking people? If you claim you are not a member of the Idiots, then I ask why so many of you are not spitting the Dummy over the travesty of 4km intolerance on Speed on our roads, given that it has proven to be a complete farce? Why do you allow yourselves to be molested at times of celebration by an army of parasites, who hide in the shaddows like Villains ready to pounce? Why do you allow your wallets to be emptied… and your pleasant travels to be rudely interfered with by Bullies and robbers with badges? If in the light of all the evidence you still insist this predatory extortion racket is for the public good…. well then I say you are an Idiot…because and I repeat…the facts are indisputable…. all the heavy handed fines and impositions (such as the lower drinking limits) are not reducing the carnage on the road one iota! You are like the Police (and government)… bereft of New and better strategies… and too scared to tell them to back off, and quit their harassment. The whole roading safety strategy needs a rethink, and a change in focus. I’m not advocating anarchy, but smarter approaches… using the tools available. Such as more No overtaking lines where obviously there is limited visibility for a distance, yet also having more overtaking lanes, and slow vertical lanes so that people can safely get past on stretches where crossing the white line is hazardous. Not only does this present obvious safety advantages, but less obvious if combined with the police *not being so Fascist about speed, and the government passing reforms that allow even greater speeds on the best sections of highway, this will generate *more respect* from users, and a safer culture of driving to the conditions… understanding the logic that a Smarter road strategy allows people to go faster where appropriate, and reduces the stretches where slow moving vehicles can provoke rash maneuvers by people anxious to get past. Make the best roads faster and you will get less speeders on the country back roads. 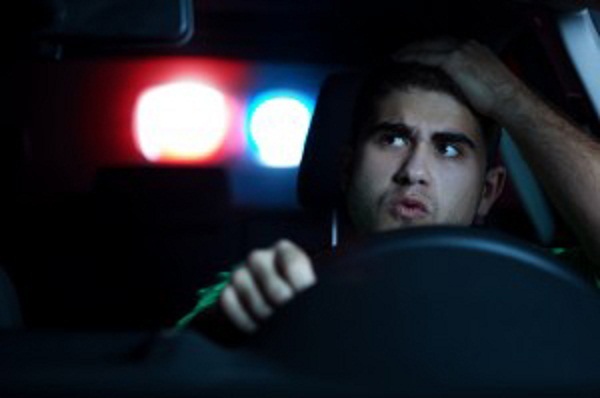 Get away from the ‘Cops are your enemy’ mindset that heavy handed ticketing is all about. *Bust REAL dangerous drivers only*. People who do dangerous/ reckless maneuvers, leaving others traveling at speed in obviously ideal conditions alone. These are just a few ideas that could be an alternative to the current rapacious bully tactics of the police that is not only a failure, but as a result generates a severe disrespect for them and the law. We should be brave enough to try! The definition of folly is doing the same thing over and over yet expecting different results. Dont you think it’s kinda ridiculous to even believe the idea that the Police *can bring down the road toll*??? Where did that nutty idea even come from? Did they themselves assume this roll like superman? This whole business was nothing more than a ruse from the start… to wrangle more power for themselves. It’s a gimmick to fool the dopey into accepting being being hounded and fleeced like sheep. 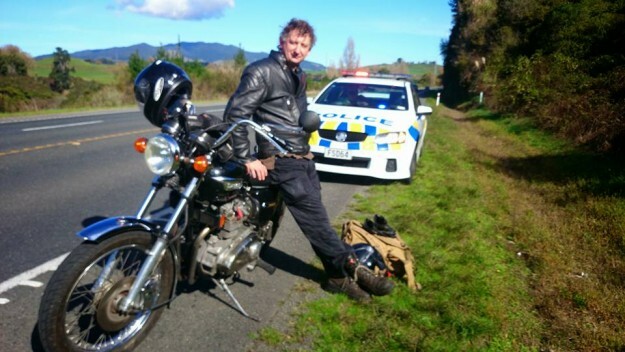 It simply cannot be the Polices job to ‘End the carnage on the road’… and it certainly is not their job to treat us like cash cows… remember they work for us and we have the right to enjoy the use our roads free of molestation. The police need a serious attitude adjustment. And realistically we must accept that accidents will happen. No amount of social engineering can eliminate the human factor. If we really want things to change, then we must start voicing our demands at every opportunity… create/ join lobby groups that protest against the Status quo. Write to AA, Write to your Mp’s, demanding they put a stop to this mickey mouse behavior of the police. Demand they show us all more respect. Spend time thinking up ways to bring in reforms rather than more mutton fisted misery. I must add some balance. I am sure many police sincerely believe their activities are just, after all… they are following what their bosses say is supposed to help keep us safe. I’m sure that some are well aware that this strategy is a failure… yet they are expected to dish out their quota of infringements. All this exposes the systemic problems. Any caring police officers should be working within the system for reforms, and should not support further impositions upon the people they serve. It was never the lower drinking limits that were the problem. It was never the people doing 120 along the motorway either. I hope my blog at least stimulates some dialogue and debate. I personally have had a guts full of the current extortion and Pig headed attitude we get from Parliament on down to those we employ to catch Robbers and rapists. This Xmas Commercialism must end. Driver ‘in-attention’ …. falling asleep from boredom…. inattention from looking at your speedo all day instead of the road. Previous PostThe lonely road. My divorce from John Ansell.Next PostThe Word of God is inerrant. His scribes, not so much. Allow anyone driving a car worth more than $100,000 (or a bike more than $10,000) to drive whatever speed they like when they like. Problem solved. 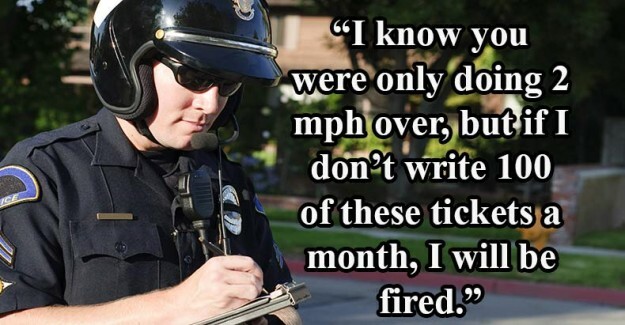 “Police focus on speed because it’s easy. Easy to spot, easy to capture, quick and easy ticketing, next please. Excess speed will, of course, increase risk, and increase the chances of injury, but where do you draw the line? 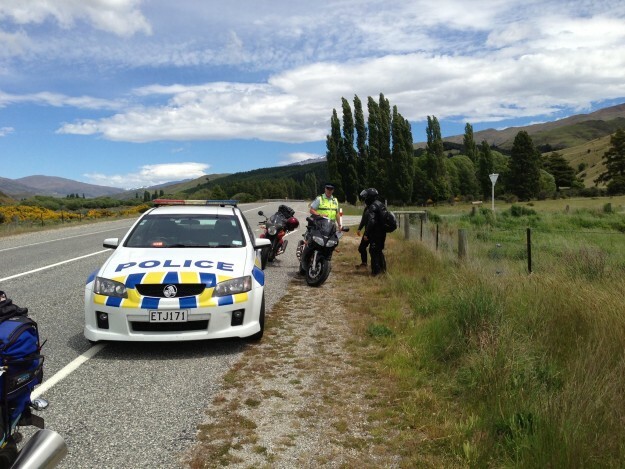 A stream of vehicles all travelling at 120kph down SH1 are little risk to themselves or anyone else. Everyone’s happy, traffic is moving at a brisk pace with proper following distances, people are getting to where they are going, no-one is inclined to overtake because everyone is just getting on with it. Definitely Interesting, and I suspect *weighted in favour* of ACC Levy’s and Police heavy handedness. Only the Naive dont understand how politics gets ‘creative’ with Stats… sexes up numbers…. and dis-proportionately allocates blame…. An example of this is how Woman are looked upon as the victims of Male violence, when in reality it’s virtually a 50:50 deal…. there being multitudes of factors which underplay woman’s violence against men…. entire political apperati set up designed to make men ‘apologize’ for being men. Even with this in mind it is interesting to see that of accidents causing injury they still admit that almost 50% are mot the bikers fault. Also there is a glaring ‘convenient’ omission from these Stats…. I see no columns for deaths caused by criminally designed roads …. 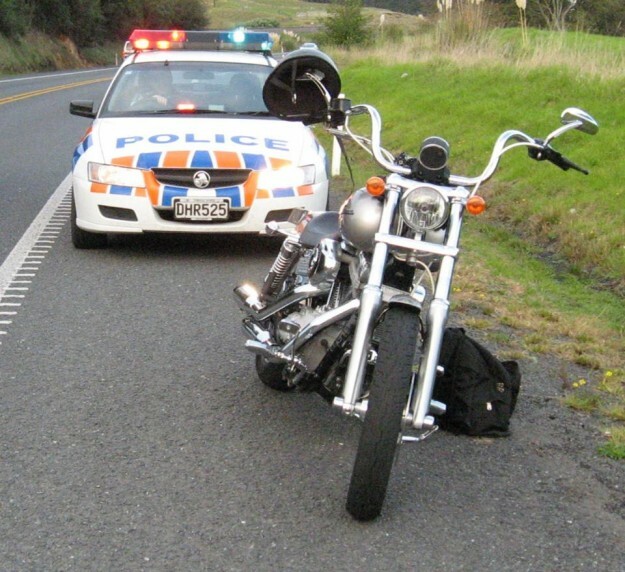 they will be hidden amongst ‘Biker errors…. not riding to the conditions’, etc…. And because of this Evil omission we can expect no improvement in road designs, and a proliferation of Cheep yet lethal cheese cutters, etc…. I’m sure we can get a wealth of Ammo against the system out of this…. Cheers for sharing. P.S We can also gain a lot of information to help us ride safer as well. The Simpson's tell it like it is.